Since We Are Already Doing What We Are Doing It Cannot Be Too Risky-NOT! We take comfort in doing the same thing over and over again. It feels safe. When it comes to making changes to a conference or association service, we opt to do what we’ve done in the past. It’s easier. We know the outcome. We believe it’s less risky than changing. I would argue that doing what you’ve always done in the past is one of the riskiest things you can do. It can result in eventual demise. Don’t believe me? Consider Kodak, Blockbuster, Firestone Tire & Rubber (which used to be the leading tire manufacturer), Borders Bookstores, cable TV, libraries, the travel agent profession, the printing industry, and the news and media industry. Any change that we are going to make needs to be compared rigorously to the risks associated with staying the same. That’s the only way to put all the risks on the table to be evaluated. It’s the only way to put risk in real context. I’ve not found many nonprofit associations that make this critical comparison. Typically, associations are risk-adverse. Their leadership discourages change. Note: Roger L Martin–thought leader, author and Premier’s Chair in Productivity & Competitiveness and Academic Director of the Martin Prosperity Institute at the Rotman School of Management—thinks so too. Hat tips to Martin for his insights about risks, business thinking and risks of status quo! Usually, the risk associated with a change is considered a net incremental addition to the basic risk level of an organization says Martin. Thus that incremental addition of a risk is considered a net negative. This assumption of low risk with staying the same is terribly flawed he stresses. Many organization leaders want to foster innovation and change. They are unhappy with status quo. Sometimes they hire a consultant to work with a team to consider options for change. They reverse-engineer each new alternative to consider its implications. Who are the customers? What is the market? Who are the competitors? What is the cost structure? What processes need to be in place? Next they consider which of the alternatives have the biggest risks. Which of these implications are they the least sure about? After that, they work to identify and create steps that would mitigate those risks. Usually, they can identify ways to mitigate the majority of the risks. Unfortunately, what I’ve seen time and time again, even after going through this process, the leadership says change is too risky. The only way to really help leadership understand the context of all risks is to take the next step and reverse-engineer the risks of status quo. 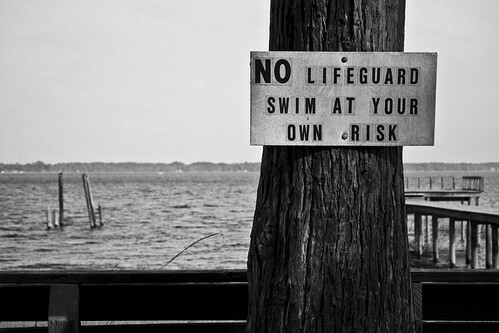 When leaders do that, they frequently find that staying the course is far from being risk-free. It is usually embedded with risks that are similar or of greater intensity of the alternative option of change. It’s only then that leadership can actually evaluate the two sides of the coin and make an informed and calculated decision. What are some of the factors that leaders must consider when considering the risk of status-quo? What are some of the internal motivations that cause some leaders to resist change?